Owning your own home is the ultimate goal for many people. In the UK the idea of buying property rather than renting has always been popular. According to a recent report, English Housing Survey Headline Report 2013-14, complied by the Department of Communities and Local Government it found that nearly two-thirds (63%) of the 22.6 million households in England were owner-occupied. Despite house prices still being high the continued low interest rates has made the thought of buying rather than renting more appealing. Since buying a house is probably going to be the biggest financial outlay you may ever make there are a number of things you need to bear in mind before taking the plunge. Added costs and fees – Before you even step foot in your new dream property there a number of financial outlays you have to consider. Solicitors fees, surveys, mortgage fees, estate agents fees if you are selling one property to buy another and of course the dreaded Stamp Duty. All of the these will eat in your cash and reduce the amount of deposit you can put down or how much you can afford to do to the property if it needs work doing on it. Before you even think of moving make sure you have enough money to cover all these costs. Stamp Duty – To give it its full name – Stamp Duty Land Tax. This is a tax you will need to pay if the property is priced over a certain amount. From 1st April 2015 Scotland is going over the Land and Buildings Transaction Tax. It will however work in a similar way to Stamp Duty but with different bandings. Stamp Duty was reformed in December 2014 so you now pay in a progressive way rather than the whole purchase price being taxed as a whole. Therefore if a house costs £270,000 you will pay 0% for up to £125,000, 2% between £125,000.01 and £250,000 (Tax = £2,500) and 5% for £250,000.01 up to £270,000 (Tax = £1,000). Therefore the total Stamp Duty payable is £3,500. If this seems baffling there is a Stamp Duty calculator on the HMRC website. As an interesting note under the previous rules the Stamp Duty on £270,000 would have been a whopping £8,100! Paying Stamp Duty – Usually your solicitor will sort out the actual payment to HMRC but the important thing to remember is that it must be paid within 30 days of the completion date. This is when all the contracts are signed and dated. Don't think about putting it off as non-payment will result in a fine and possibly interest payments. 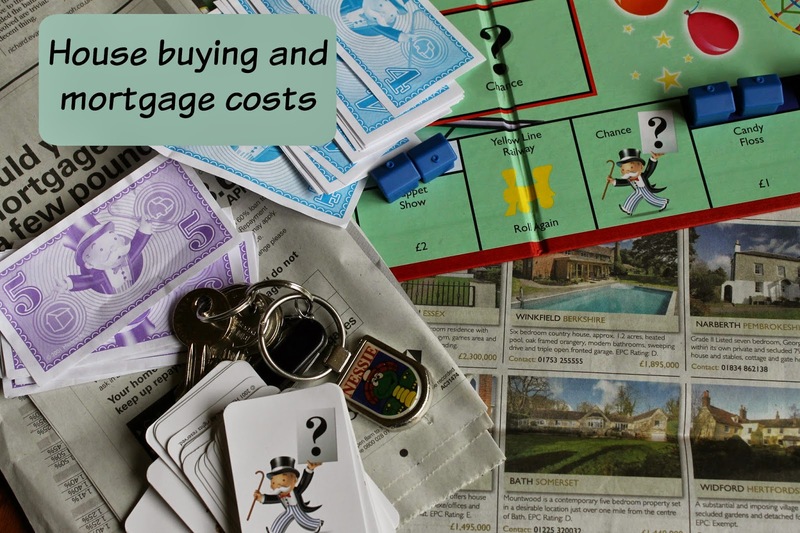 You could add the Stamp Duty amount to your mortgage and request the extra to released to you but bear in mind you could end up paying interest on it for the term of your mortgage which could work out to be very expensive. Expenditure – including household bills (including groceries, phone, TV and broadband contracts), child maintenance and personal expenditure such as going out, clothes and any money spent on alcohol, cigarettes or gambling. Debts – If you have ever taken out a 'payday loan'. This deemed to be a sign of bad financial management even if you did take one out for just a day to two. Proof you can afford to pay any future interest rate rises – Many lenders perform a 'stress test' to see if you could afford to pay if the interest rate rose by up to 5%. Deposit – The initial deposit you put down will have a major impact on the amount of interest you pay. Obviously the lower the amount you need to borrow the lower your monthly mortgage payments will be. It will also determine your interest rate as most lenders have tiered rates according to how much you wish to borrow in relation to the value of the property. Many lenders that do offer 100% mortgages usually have much higher interest rates (up to 4% in some cases) and still require family guarantor. Loan to Value – The Loan to Value (LTV) is the ratio of your mortgage amount to the amount of the house value that you own. For example if the house price is £250,000 and your deposit is £25,000 then you have 10% of the purchase price and the mortgage will make up the remaining 90%. The LTV therefore will be 90%. Most mortgage lenders tier their mortgage rates according to the LTV. This is down to the amount of risk they are taking on. If your property needs to be reprocessed the mortgage lender will need to seek to recoup the remaining debt and any further costs involved. Generally the best rates are for mortgages where the LTV is 60% or lower. Do remember that if you re-mortgage to get a different deal but don't move house your mortgage provider will revalue your house to the current market value so your LTV could dramatically improve. There are a number of comparison sites that dealing with mortgage rates such as MoneySuperMarket and This is Money. Fixed rate – You will be charged a fixed rate of interest for a set period of time. One year deals tend to be offer the lowest rates but some lenders offer fixed rates up to 10 years. You take the risk of the mortgage rate going down during this period but it will enable you to plan your finances. Standard Variable Rate (SVR) – A lender's default rate will be the Standard Variable Rate (SVR). This won't be the best deal they offer but if you finish the time period for a special rate and don't arrange to switch to another you will go onto this rate. A lender can change this rate at any time even if the Bank of England base rate remains unchanged. Tracker rate – These track the Bank of England base rate. It is currently 0.5% and the lender will work out the interest rate to be 0.5% plus their rate on top say 2% so your rate will be 2.5%. If the Bank of England base rate goes up or down so will your interest rate. This type of rate will be offered for a set amount of time. Discount – This is similar to a tracker rate but linked to the lender's SVR. If the lender's SVR is for example 3.5% the discount rate could be 1% under this at 2.5%. Again this can change if the lender changes the SVR at any time. Term of mortgage – For many years the standard term for a mortgage was 25 years but now mortgages can be offered for anything between 5 and 40 years. Obviously the shorter the term the more you will pay in monthly repayments but overall you will pay less in interest payments. If you do take out a mortgage with a long term you could lower the term by over-paying on your regular monthly amounts. Overpayments – Most lenders allow you to over-pay your regular monthly repayments by up to 10% without any charge or penalty cost. If you have any spare cash left over each month this could make a difference over the years to total amount of interest you pay. Even the odd payment of £10 every so often will make a difference. It may also come in useful one day if you come into financial difficulties. Lenders may allow you to take a payment holiday if you are judged to be ahead of your payment schedule but will not allow you to fall behind. Repayment or interest-only mortgage – Very few interest-only mortgages are offered these days due to the risks involved but many people may still be paying into one. If you are check that not only are you paying the interest amount but also have some other savings scheme to pay off the capital amount. I know of people who have 'cashed in' their savings plan or stopped paying into it. This is why interest-only mortgages are not favoured by lenders anymore! If you still paying off an interest-only mortgage make sure your savings plan is still on track to reach the required amount to pay off the capital. Years ago wild and unrealistic assumptions were made on endowment plans and stock-market investment plans that now have not reached their projected growth. Repayment mortgages are simple in the fact that if you pay every monthly payment in full by the end of the term you will be guaranteed to own your property in full. Always remember though – Your home may be repossessed if you do not keep up repayments on your mortgage. I am unable to give personal financial or legal advice. Any links provided in this post should not be seen as endorsements. Other comparison and selling sites are available. Linking to #TheList at Mums' Days and You Baby Me Mummy. Very thorough round up!! We've just been through all this and it ain't half a headache! What get's me is that your seller (or buyer) can pull out right up until literally days before you move in. That's a crazy state of affairs! Thanks for linking up love!